Glo Minerals, Glo-Therapeutics and Glo-Essentials all have one thing in common - they boast an award-winning collection of cosmetics that nurture, protect and heal the skin, while providing a flawless finish and optimum coverage. It's thanks to the skincare and beauty brand's use of mineral formulations, which include pharmaceutical-grade ingredients that are entirely talc-free. Helping to eradicate and treat skin concerns and support skin health, the Glo range includes cleansers, toners, moisturisers, serums based on scientific research. The Glo Therapeutics Brightening Polish boasts a paraben free formula, that's professionally derived using advance science. The brightening polish is packed full of active ingredients that get to work to help refresh skin by removing dead cells and debris to enhance the absorption of natural brighteners. Suitable for all skin types, except those prone to acne or sensitivity, this potent concentrationblends anti-inflammatory Turmeric Extract with moisturising Jojoba beads, Japanese mushroom derivative and Applephenon - a specialised extract of apple that gently buffs, brightens and enriches the skin with healing antioxidants. Turn back the hands of time with the Glo Therapeutics Eye Restore. Formulated using advanced science and innovative technology, the potent concentration works to improve and prevent the appearance of fine lines and puffiness under the eye area. This eye area restoring product helps rejuvenate the skin's texture and contains a cell-stimulating active ingredient that increases the skin's thickness, helping reduce the depth of wrinkles and lines. The blend of Willowherb and Green Tea Extract includes anti-irritant and anti-inflammatory properties which work to smooth out the skin. With a dose of Palmitoyl Tetrapeptide, collagen and elastin production is enhanced, making this the perfect product for smoothing out those pesky lines around the eyes. 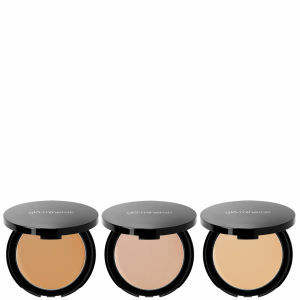 You can shop the Glo Minerals range here at Beauty Expert.